Strange colors for ASUS, but great GPU. White is the new black. White cases, white trimmed MBs, etc. You're maybe right, but I still like black as old black, and standard ASUS ROG (black/red), colors. I would like the majority white on a GPU. Would look good in some builds . I dont like single fan solutions though. 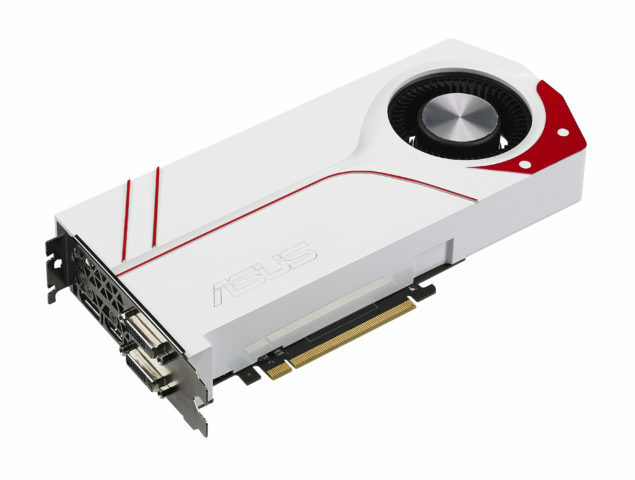 Overall the shroud design, fan solution and color scheme makes it look like a cheap knock off of a better card. Asus failed on this one. They usually make some really nice looking gear. I know right? I'm thinking it looks a little Hasbro...or maybe Lego. Dammit. I'm getting senile. I posted this same thing on the 980 thread after looking at it, thinking where the hell did my post (this one) go??? Grrr. Last edited by Gu3; 13-04-2015 at 16:09.
you know im a sucker for white. i like it but how well is the cooling? It can look good as hell but if it don't perform worth a crap. Why buy it.